Unit Size: 5 mg per vial. Growth Hormone peptide fragment 176-191, also known as HGH Frag 176-191, is a modified form of amino acids 176-191 of the GH polypeptide. It works by mimicking the way natural Growth Hormone regulates fat metabolism but without the adverse effects on blood sugar or growth that is seen with unmodified Growth Hormone. 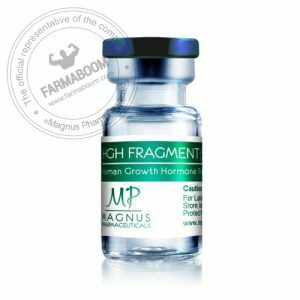 HGH fragment may be used alone, but is also well combinable with several other peptides. Common names: HGH Fragment 176-191, HGH Frag 176-191, AOD 9604. Info: The studies on HGH Fragment 176-191 date back into the 1970 and in the early 1980 were confirmed in terms of the fragments ability to directly affect adipose tissue. In fact, it actually inhibits lipogenesis; meaning, it stops formation of fatty acids and other lipids. 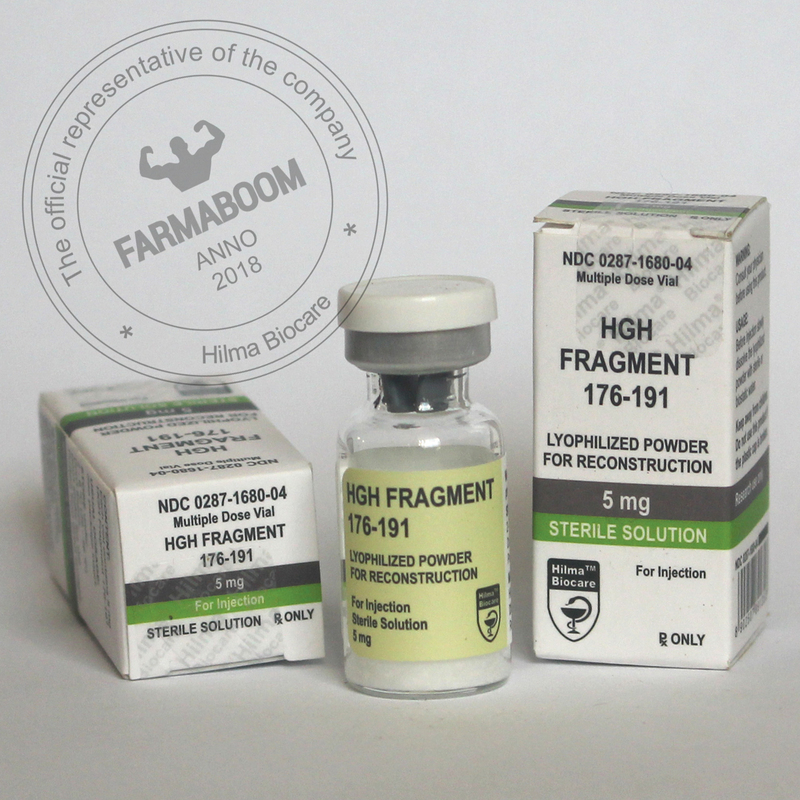 HGH Fragment (HGH Frag 176-191) is a peptide hormone of the Growth Hormone (GH) class. Specifically, HGH Frag 176-191 is as its name implies a fragment of the GH hormone, a piece or part of the GH hormone. Human Growth Hormone (HGH), the tail end of the hormone is cut off and what’s removed is HGH Frag 176-191. This is the part of HGH that represents its fat burning power. This will be the primary and perhaps only purpose of HGH Frag 176-191, for use in fat loss and dieting. It has an incredibly ability to regulate fat metabolism without the adverse side effects on insulin sensitivity. By isolating the tail end of the GH molecule, scientist have found that HGH Frag 176-191 works even better than HGH to stimulate lipolysis (breaking down of fat). Also, unlike other fat burning compounds out there, users will not experience hunger suppressing qualities or the jittery feelings. There isn’t much to say about the effects of HGH Frag 176-191 other than to say it directly promotes fat loss. Very low in side effects, the compound may cause sleep disorders (hypersomnia and insomnia) and burning feeling at injection sites. All side effects went away after 2-3 days of discontinuing use. Protect from light. Keep out of reach of children. After dissolution has a short life (about 1 week in the refrigerator). Also sometimes it’s can be stacked with Nandrolone Decanoate and Testosterone Propionate for effective for cutting results.